The 2009 New York Yankees ball cap is a special one for me because it not only marks the inaugural year of Yankee Stadium but it also reminds me of my last baseball season in California before I made New York City my new hometown. 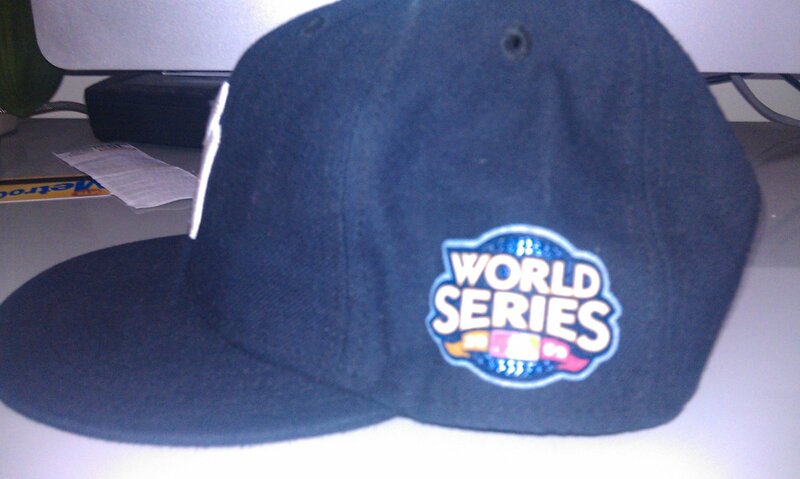 I had never owned a Yankees cap before I purchased a 2009 World Series cap. 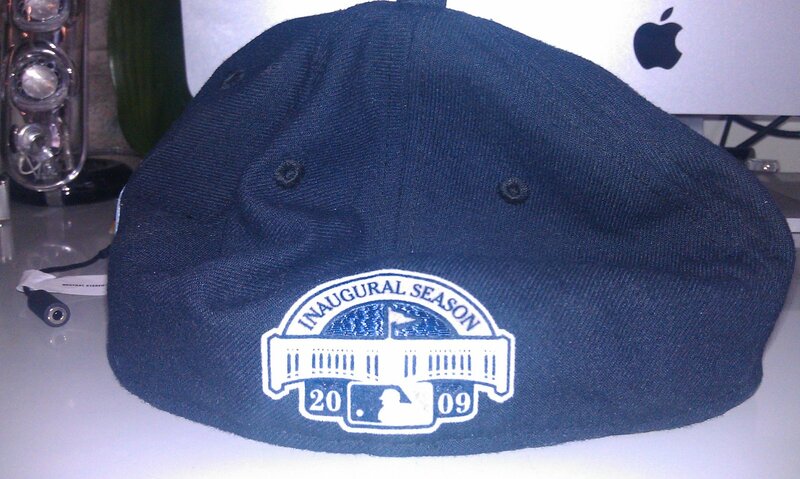 However, while the World Series patch was accurate, the logo on the rear of the cap was not the inaugural patch, but rather the grey and white MLB batter-man logo from 2010. 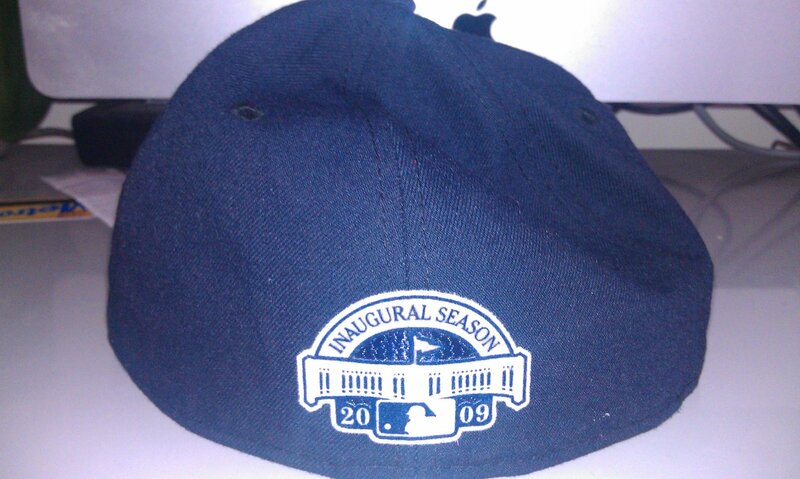 I didn't realize that the cap I had obtained was not a correct game-worn representation until I revisited some video footage and saw that the inaugural patch was so prominent. 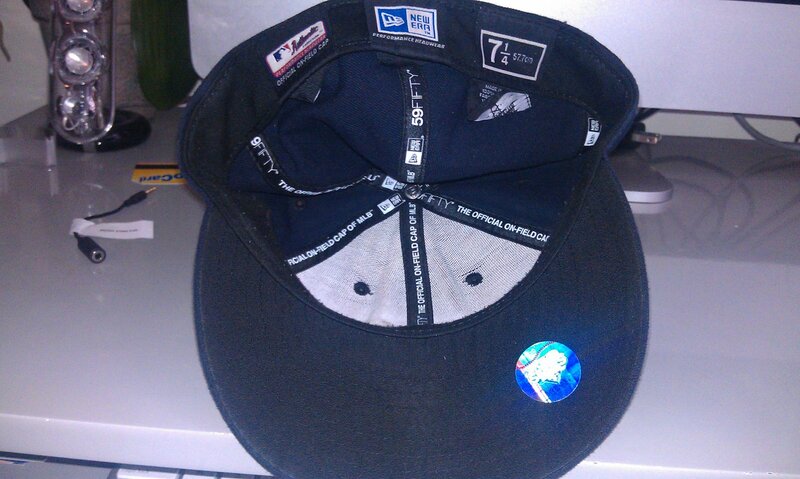 This probably means that New Era wanted to produce more World Series caps but ran out of inaugural patch caps and used the following season's caps, which is a Bush League maneuver if you ask me! One thing that I notice about the caps with the inaugural patch is that they fit looser than the caps with the traditional MLB embroidered patch. 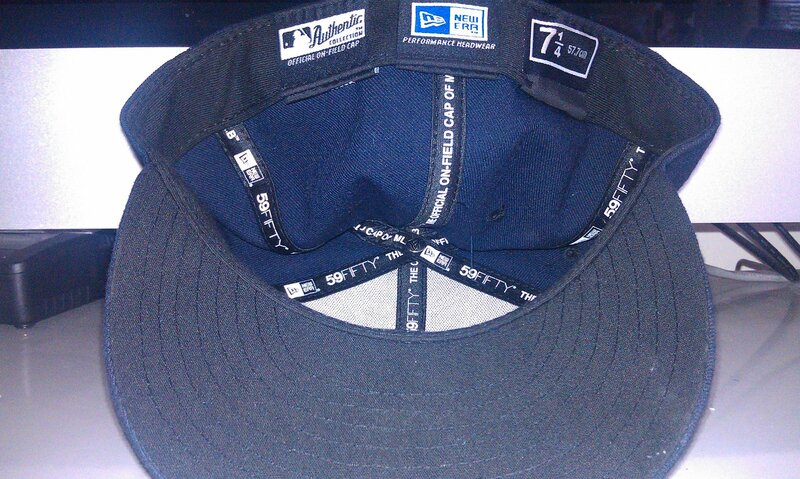 These caps are actually my ideal fit because I find that with the 100% polyester caps, it's more difficult to break-in a cap. 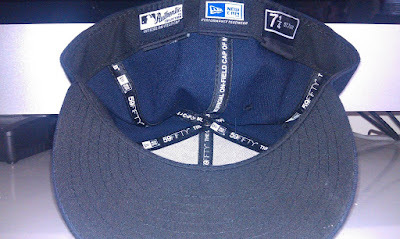 With the 100% wool caps from before 2007, you knew that if a cap was too big, it would eventually form to your head even if it was more than a few sizes too big, but the current style almost necessitates getting a hat that is a more snug initially and allowing it to stretch out as part of the break-in period. Either way, I really enjoy the 2009 version because the inaugural patch on the cap is so different than the otherwise more traditional and conservative Yankees cap. 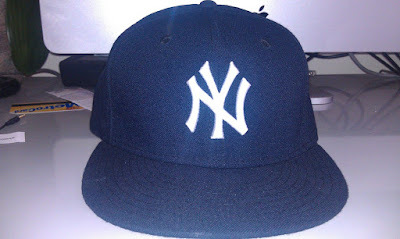 I see a lot of people wearing the caps shown below but I opt to wear a pre-2007 grey-bottom cap when I go to Yankee games, even in the intense summer heat. I'll probably wear these 2009 caps a few years from now when they'll be considered more vintage and special. 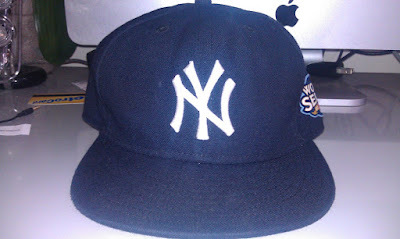 I enjoy seeing all of the World Series, All-Star Game and 100th Anniversary patches on caps that the Yankees fans wear to the games and every once in a while I see some fans with the really old school caps with the green underbill. I'm saving up to get one of those sometime soon but I'm going to have to come up with a good excuse to do so. 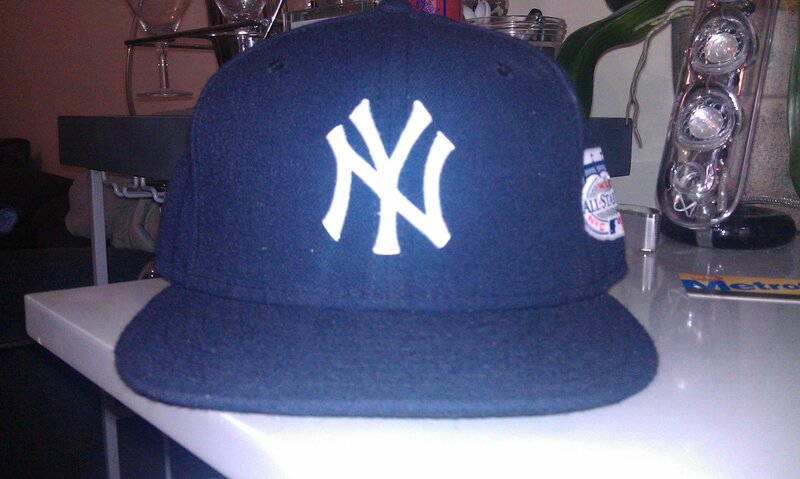 Maybe attending my first Yankees post-season game would be enough of a reason to treat myself to one? I think so.